Like mastering any newly-found skill or hobby, the art of perfecting the tarot card can be achieved, but a lot of hard work and determination need to be mustered by the individual. The good thing is that there are lots of useful resources for mastering the tarot cards. You can purchase books and instructional manuals or CD’s, as well as download tutorials on the Internet. For a more formal setting, you can also choose to attend actual class lectures. For first-time users, listed below are a series of practical tips on how to learn the art of reading tarot cards. For beginners, veteran tarot readers recommend that you buy a tarot deck that comes packed with an instructional book or manual, so that you will easily get instant reference on the exact meaning of each of the deck’s 78 cards. The manual can also teach you how to layout and interpret certain spreads. A conventional tarot deck consists of 78 cards, which are divided into two groups: The Major (22 cards) and Minor Arcana (56 cards). The next step towards mastering the tarot card is to painstakingly analyze and understand the meaning of each of the 78 cards. Be patient enough to analyze the card’s image and meaning. As you have 78 cards to familiarize with, learning the tarot will certainly not be a quick process, hence you need to arm yourself with tons of patience. It would also be helpful if you store the tarot deck under the pillow at night, as many believe that the person will easily be able to “absorb” the card’s meaning. The second step would be to learn how to lay-out the cards. Veteran tarot users stress that beginners learn simple tarot spreads like the Celtic Cross Spread and the three-card spread. The Three Card Spread is perfect for answering simple Yes and No questions. Once you are done with cutting the deck and laying the cards out from left to right, Card 1 will now be used to denote the past (or the issues and concerns affecting the main problem). Card 2 on the other hand, will denote represent the present issue or problem. Card 3 denotes the future or the foreseen outcome. The Celtic Cross spread is considered as one of the most popular spreads, yet it’s also one of the most complex and detailed spreads available This spread is perfect for answering specific questions which need to be quickly addressed, as it will slowly take the reader, and the client, across all the different scenarios and phases of the issue. This spread basically deals with one issue at the time. However, once the reader makes it to the final card, he and the customer will have already made it through the different stages or phases of the issues or question at hand. To fully learn the different tarot card layouts and spread, you could try practicing at home, by performing simple readings for friends, family members and other people. Always make it a point to learn all the basic aspects of the tarot card, and never hesitate to ask a tarot card expert any questions, especially if some aspects begin to sound unclear or confusing. Copyright © 2018. Access Positive. 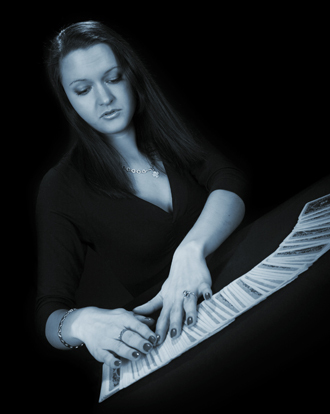 All psychic, clairsentient, mediumship, tarot card readings, and clairvoyant readings are for entertainment purposes only.